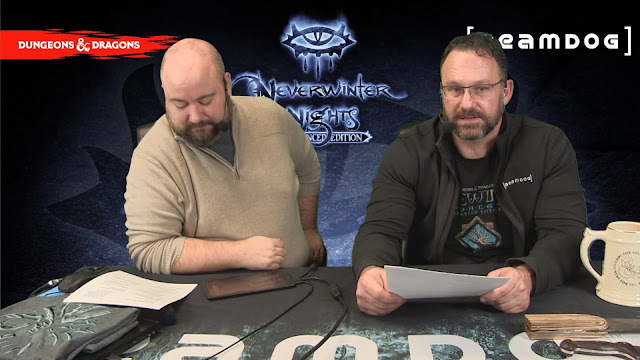 During today’s livestream Beamdog CEO Trent Oster and Producer Luke Rideout shared the latest news on the Neverwinter Nights: Enhanced Edition, NWN:EE Android Beta, and Infinity Engine Enhanced Editions. 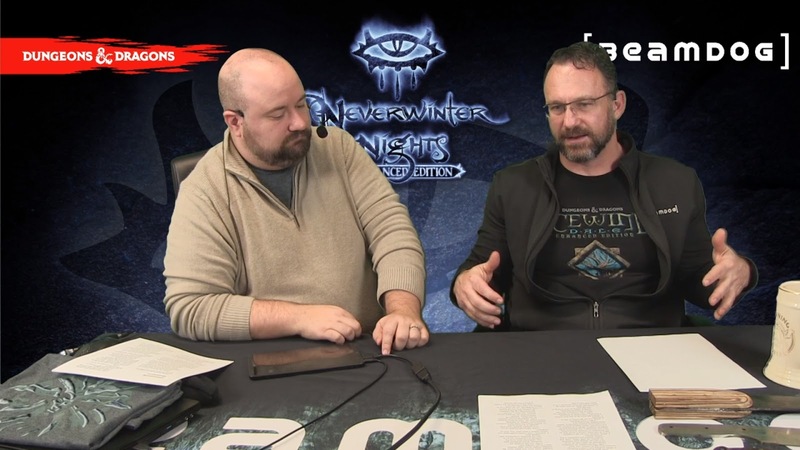 They discussed the latest changes on the Roadmap Trello for NWN:EE and provided an update on the upcoming 2.6 patch for Baldur’s Gate: Enhanced Edition, Baldur’s Gate II: Enhanced Edition, Baldur’s Gate: Siege of Dragonspear, and Icewind Dale: Enhanced Edition. Spend this weekend in Neverwinter Nights: Enhanced Edition! 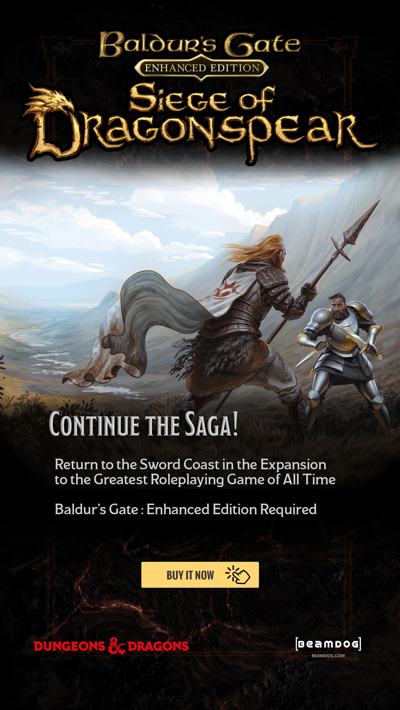 NWN:EE and all its DLC are 50% off on Beamdog.com! Neverwinter Nights: Enhanced Edition is also 50% off on Steam! Dive into robust Dungeons & Dragons multiplayer on dozens of persistent worlds! The Android Beta of Neverwinter Nights: Enhanced Edition launched this week. Thanks to everyone taking part in the Beta. The feedback you provide on Google Play, the Beamdog forums, and our new tracker on Jira Service Desk is incredibly useful. We’ve seen over 1000 Beta players so far! Purchasing Beta access includes the release version of Neverwinter Nights: Enhanced Edition, so if you have a phone or a tablet, go try the Beta out! Make sure to sign up for our newsletter to be first to know about Beamdog news, patches, beta updates, contests, and more! We’re still hiring! If you’re a Web Developer, Programmer, Quality Assurance Tester, Technical Artist, or Network System Admin apply! The 2.6 patch for Baldur’s Gate: Enhanced Edition, Baldur’s Gate II: Enhanced Edition, Baldur’s Gate: Siege of Dragonspear, and Icewind Dale: Enhanced Edition is moving forward according to plan. 2.6 will be released along with the Dice, Camera, Action! Voice and Portrait Pack. We’re just finishing up the DCA! portraits, and the community won portraits are on the to-do list. It takes quite a while to make a good quality portrait, and we want to respect the quality of the original games. The 3.1.4 patch for Planescape: Torment: Enhanced Edition which would bring the Czech localization of PST:EE to GOG, Beamdog, Google Play, the App Store, and the Mac App Store is not ready yet, but it’s coming. According to Luke, it’s all about the manpower right now, as our QA resources are mostly on the Android Beta of Neverwinter Nights: Enhanced Edition. We shipped two Development Builds for Neverwinter Nights: Enhanced Edition this week. Check out the patch notes here and here. If all goes well, Development Build 8186 will become a new stable build for NWN:EE next week. We also plan to roll out an update to the Android Beta of Neverwinter Nights: Enhanced Edition next week. The PC version of NWN:EE will be cross-play compatible with Android very soon. We’re looking into the viability of installing Neverwinter Nights: Enhanced Edition for Android on an external SD card. 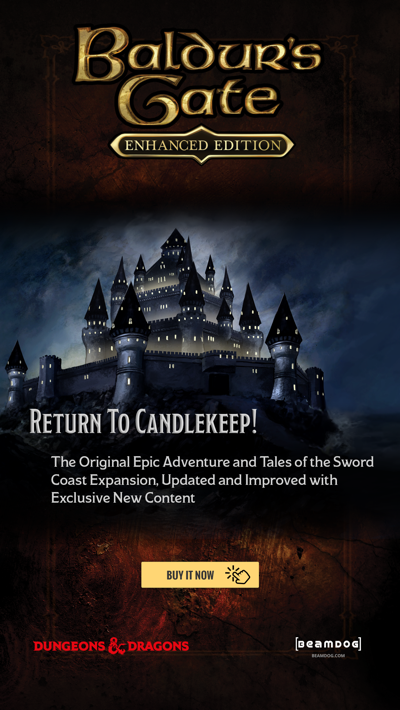 Infinite Dungeons, Wyvern Crown of Cormyr, Pirates of the Sword Coast, and Darkness over Daggerford Premium modules for Neverwinter Nights: Enhanced Edition will be purchasable on Android through the in-game store. If you have them on your PC version, you will be able to connect your Android device to your PC and transfer the modules to your mobile. You will be able to move any mods and custom content, not only the Premium modules, because the file system on Android is structured the same way as on PC. Regarding changing old content in Neverwinter Nights: Enhanced Edition, we don’t want to go back for a number of reasons. Neverwinter Nights scripts are very fragile. If you tweak something in the wrong way, it can break a lot of things in the game. According to Trent, ultimately Beamdog wants to focus on the future and step away from our current role as curators. 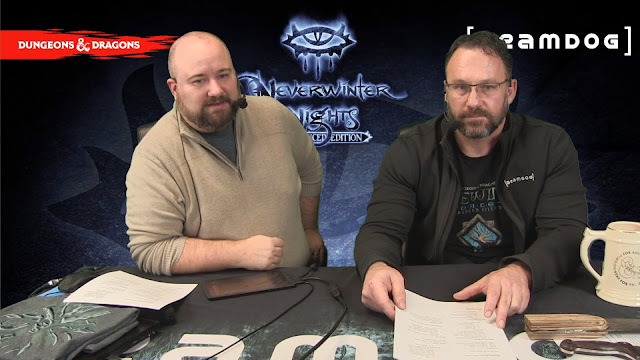 There are a lot of exciting features planned for Neverwinter Nights: Enhanced Edition. Cameron continues to work on a rendering system rewrite. Some additional work may need to be done on updated character models once the renderer is completed as we don’t want to break compatibility with existing work. There should be some significant performance increases once the new rendering code is complete and integrated, as it would clean up a lot of the outdated rendering processes the Aurora Engine currently uses. We moved a few new cards to the Roadmap Trello board this week. Features such as allowing custom classes and spellbooks, or introducing the spell buff effect timer, are now on the Roadmap. Check out all the changes here! Achievements for Neverwinter Nights: Enhanced Edition are coming soon. They will first be released on mobile with the live full version of NWN:EE for Android. Steam achievements will follow shortly. There are 48 achievements overall, and the achievements will be the same across Android and Steam.